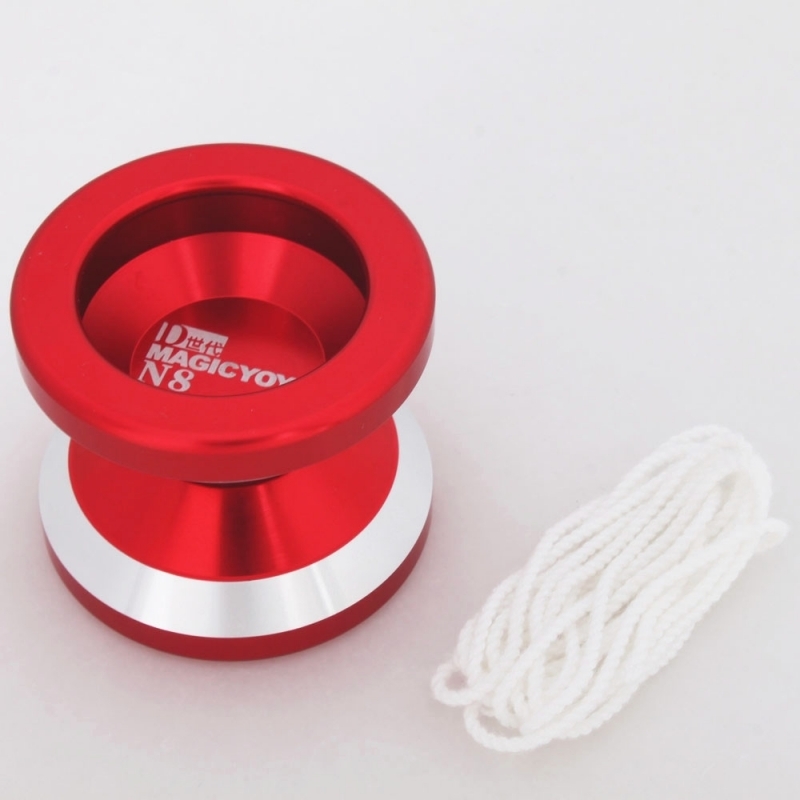 This is an unresponsive yo-yo, a Bind is required to bring the yo-yo up. 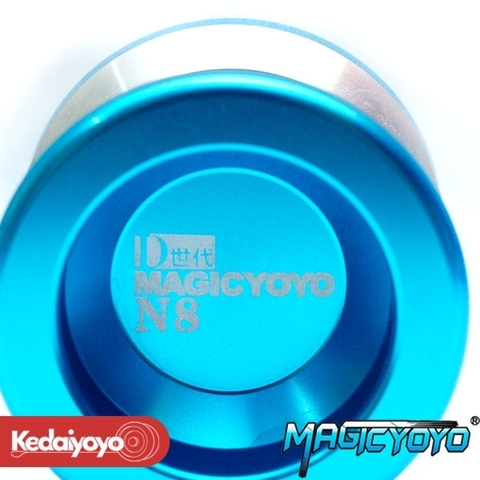 The Magicyoyo N8 is a very cool yoyo from MagicYoYo. 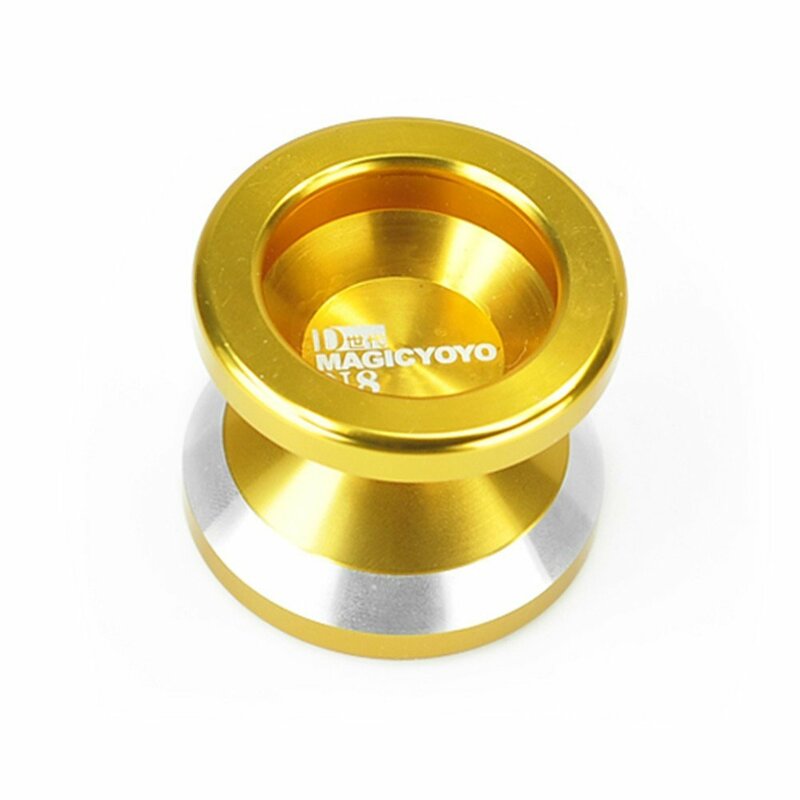 It is a slightly undersized, aluminium yoyo with beautiful raw metal bands that run around the catch zone (inner part) of the yoyo. 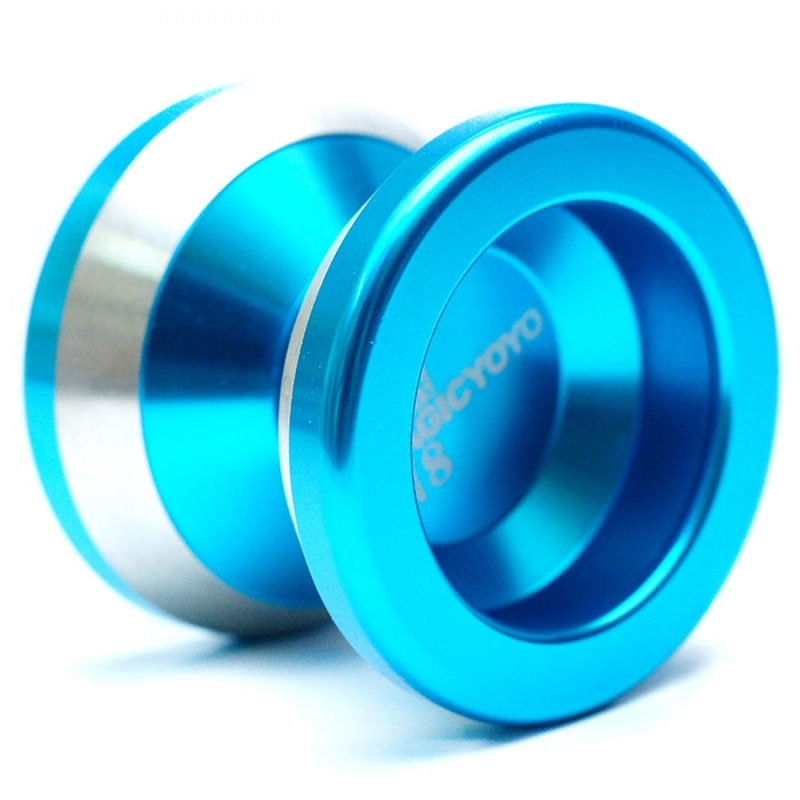 These bands are very striking and make the yoyo very appealing to look at. Its smaller-than-normal size lends itself to more intricate string play, but it will also hold its own during normal play too. Like all MagicYoYos, the N8 features weighted outer rims which provide for long spins. It is made from a great-looking, high-grade aluminium. If you are looking for a ridiculously low-priced, full-metal throw, then grab a MagicYoYo N8 today - you will not be disappointed!